InterVarsity Press' latest offering from N.T. Wright's, Small Faith—Great God, is in fact one of his oldest books, first released in 1978. Amazingly, I would not have noticed the book was over 30 years old had I not read the preface. Wright seems to write and think in a timeless fashion that does not grow dated very quickly. 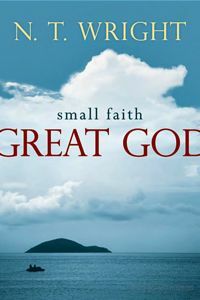 Small Faith—Great God focuses on the faith of the Christian, Who we look to and what we hope for and look forward to. It is part devotional, part apologetic, highlighted by N.T. Wright's vast knowledge of biblical history. Most of the chapters were originally sermons given in and around Oxford University and they fall roughly into three parts. The first part focuses on the object of our faith, God and his character. 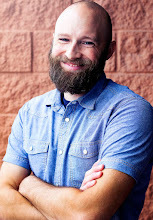 The second looks into the lives of various biblical characters and how their faith impact their lives. And finally, the third portion addresses how our faith can likewise enable us today to live faithfully through every period and challenge of life. While I admittedly haven't read much from Wright and despite the theological debate he has sparked of late, this small book has got me looking forward to reading a lot more of his work. The Westminster Bookstore has Small Faith—Great God at one of the best prices I could find, 33% off the list price ($12.06).